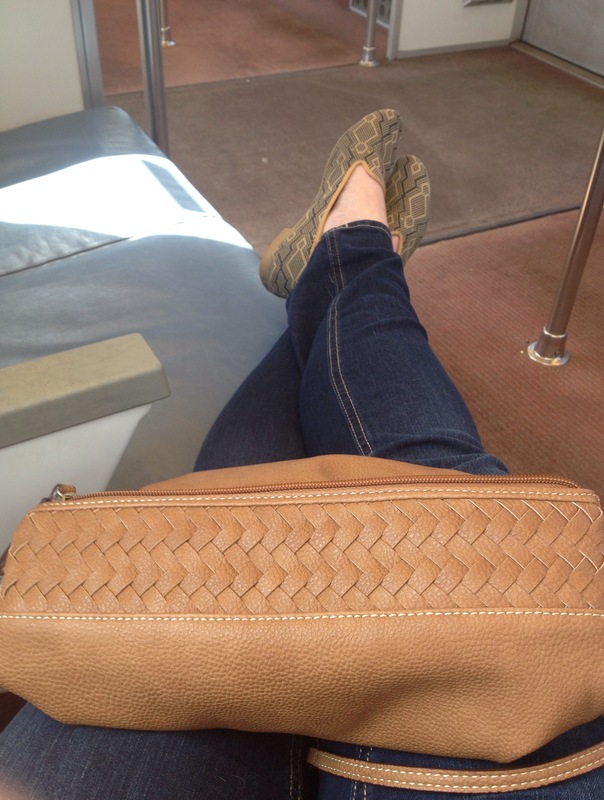 I am currently on the metro headed into the city to meet the hubs for dinner. He is there all day for some expo. The best part was when he sent me snaps of Suze Ormon (sp?). Apparently she spoke and was pretty good. Anyways I know that I mentioned before how surreal it is to have a train so close to the house. And I was staring out of the pollen covered windows I couldn’t help but think how weird it is that this is part of my life now. Almost weirder than the alien squiggling around in my belly 😁. Hope are all enjoying your Thursday!